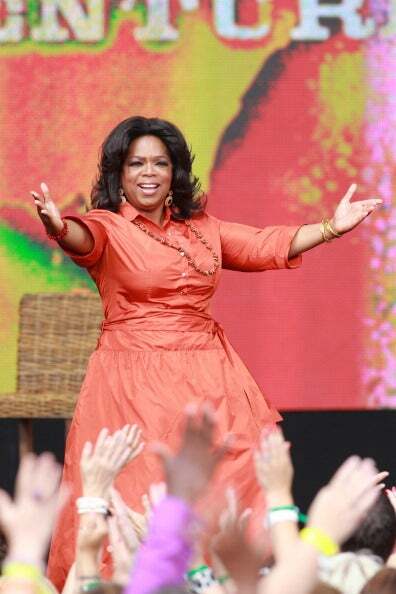 Oprah Winfrey will launch the OWN channel on New Year's Day. Media mogul Oprah Winfrey is launching her latest endeavor, the OWN channel, on New Year's Day. To help ring in the New Year and her new channel, Winfrey has unleashed a media blitz to stoke interest among viewers. Winfrey, who already owns the Oxygen channel, which is carried on cable and satellite networks, is trying to let viewers know that this new channel will not be all Oprah Winfrey, all of the time. The marketing strategy is twofold: to let viewers know that the cable channel is trying to expand beyond Winfrey's niche and also to help viewers find OWN on the nation's various and crowded cable systems. Lady O, who is not abandoning her niche, is using her current media vehicles to reach them. O magazine has dedicated a chunk of its January issue to the channel and its stars, like The Gayle King Show and Our America with Lisa Ling. She also pulls in heavy hitters will.i.am of the Black Eyed Peas, who wrote the song "Own It" for the channel; and Seal, who wrote the theme song for Weight of My Mistakes, an OWN series about female prisoners in Indiana. Ads featuring Winfrey are in a number of magazines, including Vanity Fair, and Discovery's other channels are pitching the sister channel. We're just wondering: If the goal of the channel is to reach people outside of Winfrey's usual viewership, then why is Lady O featured in all of the ads? Why is the network employing the same people who have been in all of her other media properties, like King, who is also on Winfrey's satellite radio channel? Is overexposure even possible with Lady O? Whatever the case, Oprah's fans are some of the most loyal, so they will be making their way to the OWN channel on Jan. 1, 2011. The question is, will you?